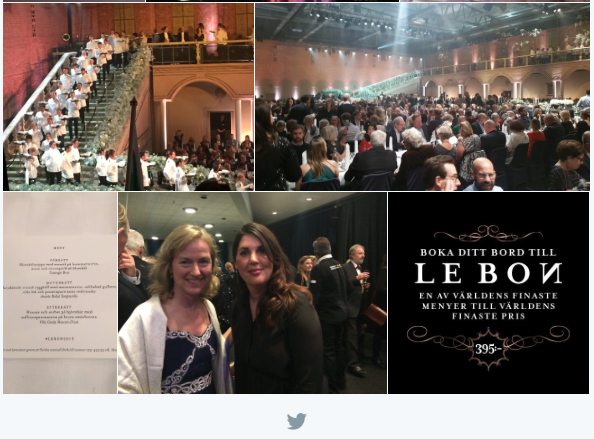 (Updated with guest tweets) Lidl’s alternative Nobel banquet, named Lebon, in Stockholm seems to have been a success. 1300 guests, many of them sending out happy reviews on social media, were served by 260 waiters – a few kilometers from the real party. 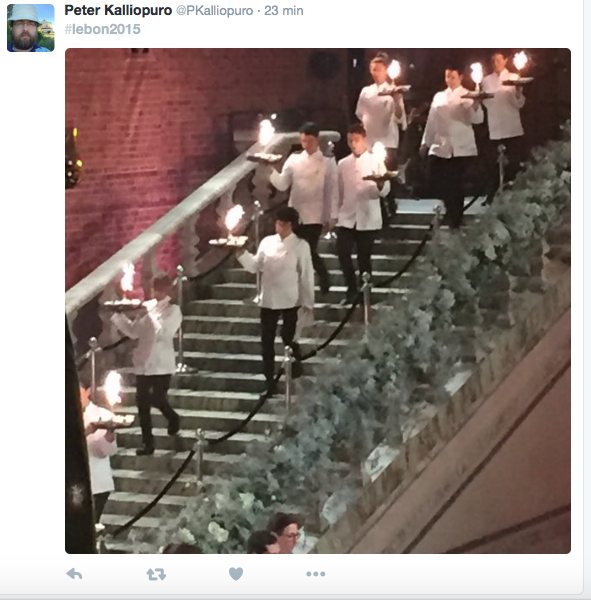 Lidl used the premises at the event arena Annexet, next to Globe arena, for the banquet. 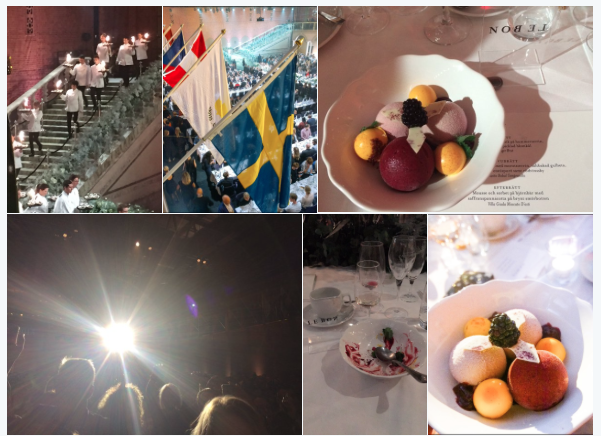 1300 guests from different parts of the country, had paid 395 SEK each, were served one of the world’s finest menus realized by celebrity chef Titti Qvarnström. Revenues for the food went to the Children’s Cancer. The tickets were released on December 2 and ran out in seven hours and nine minutes. Lidl copied the Nobel-schedule. At 19:33, 260 waiters walked down the custom-built stairs to the arena converted into a festive banquet and adorned with 15,000 flowers in the theme of winter green. Arrangements were created by the prominent florist Fredrik Larsson. The tables were cleared away with the finest possible crockery and with 406 meters of linen cloth. 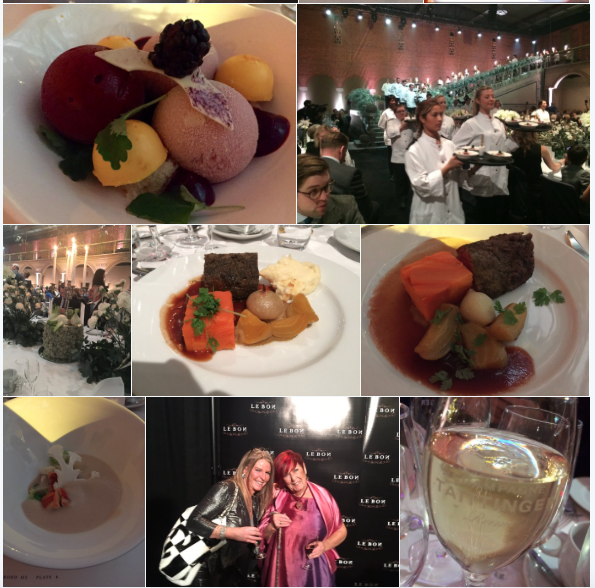 The menu was created and led by Michelin Guide-awarded Titti Qvarnström and 50 chefs from different parts of Sweden. Dinner was cooked on 2.7 tons of raw materials, served on 5,200 plates and in 7,800 glasses. ”I think we managed to give all guests the same great dining experience as if it had been just twenty guests on site. That was the goal. I went around and talked to some of the guests and they were very satisfied, which was great fun to hear after all the effort and hard work in the kitchen,” said Titti Qvarnström when all three meals had been served. 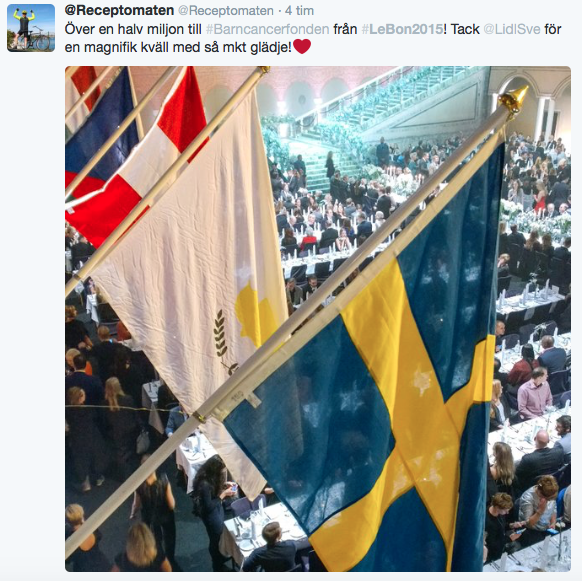 Lidl announced the banquet would be live broadcasted in the commercial breaks on Swedish TV4. But it seems to have been only on one occasion.